***This is a work in progress… Not yet complete…. If you are new to the Messianic, or are curious and want to understand a bit about the ‘how to,’ then, you have come to the right place. My blog primarily covers the ‘why to,’ but I thought it necessary to put up a very basic page covering some simple information about ‘how to’ or essentially, what this lifestyle looks like. It’s not as important how you do it, as it is important that you do! Be patient. UNlearning years of error and misinformation takes time. NOBODY has all of the answers. Be willing to read, study, pray and research. Traditions are okay, when rightly understood and used. They must not have pagan origin, nor can they override or govern the Word of God. In each topic will be links to Scripture references or to articles where I have discussed aspects of the ‘why’ concerning each topic. Through each, you can learn more. Scripture says that the Sabbath was made for man, and it is to be a delight. It is a day that should be focused on our Father and His Word, but is also to primarily be a day of rest!! When possible, holy convocation, is also a priority. What I do: Even as a pastor, Sunday was not much of a true rest day… We often ate out after church, but that made others work. We had a pretty normal routine around the house making the day rather common. Transitioning to Sabbath was at points, a challenge. We learned to truly rest, spend time in the Word and cease the normal work, or even thinking of work as much as possible. We sometimes worship as a family at home, sometimes have home fellowship with others and sometimes visit one of two Messianic fellowships within an hour’s drive. I try to stay tuned to the needs of my family and balance the times we really need to rest with times we can reach out and minister to others. We generally enter into Shabbat with a very short Erev Shabbat liturgy. Shabbat begins at sundown on Friday and runs until sundown on Saturday. Erev Shabbat means Sabbath eve, or Friday evening in our old calendar. We’ll gather as a family at or near sundown for a short liturgy (video coming) and a nice dinner. Our liturgy usually includes the Shema, blessings for the bread and wine including the connection to our Messiah, Yeshua, and prayer. Occasionally we’ll add other elements, but in general, we keep it simple. The idea is not to over complicate, while setting apart the time and acknowledging our King! The warning: Be careful not to overdo to the point the day is not a delight! Early in our walk we got a little stringent on what we allowed and what we didn’t. The result was less joy and more burden. It took a little bit to find the balance that works best for us wherein we set the day apart without making it a burden. Today, we look forward all week to the Shabbat!! Within the Messianic Community, one of the much discussed and occasionally divisive points is the pronunciation of “The Name.” God indeed has a name and it is written over 6800 times in the Hebrew scriptures. In Exodus we are told to use it, just not to take it in vain. Long story for why neither Jews nor Christians use it, but that paradigm is shifting. The biggest challenge is how to pronounce what was only recorded as four consonants. The Hebrew letters equate to YHVH, (Yod Hey, Vav, Hey) generally pronounced as either ‘Yahweh’ or ‘Yehovah.’ Either is fine, though you will run into many other variants, some strange, some hotly debated and defended. In truth, nobody knows with certainty what the proper pronunciation is. 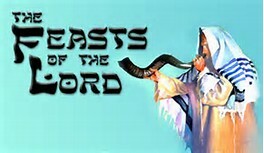 The Feasts are a picture of YHVH’s plan of redemption for mankind and are divided into Spring Feasts and Fall Feasts. Yeshua the Messiah has fulfilled the Spring Feasts, but has not yet fulfilled the Fall Feasts. Scripture enjoins us to celebrate all of them in obedience and to be reminded of things accomplished as well as things yet future in our Messiah’s plan! These can seem overwhelming at first, but remember, it is not how you do them so much as that you do them. Do the best you can and our Father in Heaven smiles and blesses as we grow and learn to walk in His ways. The Spring Feasts celebrate and remember not just Israel’s escape from Egypt, but also perfectly picture and bring depth to remembrance of Yeshua’s death, burial and resurrection. In Messiah these have been fulfilled, however, there is a future exodus prophesied that may connect with these again (Jeremiah 16:14ff; Ezekiel 20:33ff)! Passover, or Pesach, is one of the two feasts that is most challenging, but it is also one of the most rewarding!! Passover requires more preparation and research than the other feasts simply to be prepared for a special experience with the Messiah. 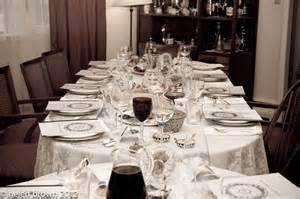 You will need a Messianic Haggadah, or ‘Order.’ It is a script that will walk you through dinner and the major elements of the Feast and connect each with the Scriptures and events of the New Testament and the Lamb, Yeshua. The above resources each have abbreviated Haggadahs, but you can also search online for ‘Messianic Haggadah Seder’ and find a number of ones to print, preview and select from. What I do: Passover is always a flurry of preparation that culminates with a wonderful evening of worship, friends, food and fellowship. Each year we invite several families to join us and we clear the living room so we can set out multiple tables with the finest of everything. This is the time to go all out! White linen table cloths, red ribbons, flowers, and lots of food! It is a FEAST! I change the Haggadah each year for variety and to learn new lessons. We have learned to adjust the length based on the age of children that will be joining us. It is a ‘hands-on’ family learning experience. My goal is to make it special and fun for everyone so each, at their own level, gain new insight into the passover from Egypt and the Passover Lamb! The warning: Don’t be overwhelmed and let this become too much work. Also, be careful to take short attention spans (hopefully, only the little ones) into consideration when selecting your Haggadah, and have an early appetizer since most Seders do not eat until the latter third. Little growling bellies makes for trouble… LOL! Passover begins the seven days of unleavened bread, or Chag HaMatzah! For this feast all leaven is removed from the home symbolizing the care we are to take in removing the leaven of sin from our lives. During this time you will eat unleavened bread (matzah) and ponder the unleavened nature of Yeshua in the grave. What I do: This is a pretty simple feast. 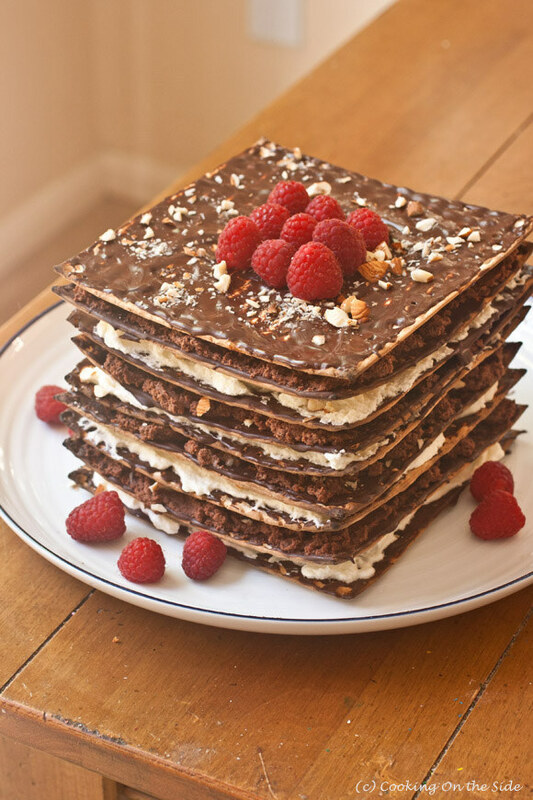 We simple do without leavened bread for the week and work on creative ways to use matzah, while remembering why we eat unleavened. Last year we found a number of excellent recipes that really get the creative juices flowing… especially the desserts! The warning: You may run into variances in understanding of what ‘leaven’ is. Some may include sodium bicarbonate (baking soda) on the list which leads them to remove all manner of things from the house including toothpaste, some medicines, etc.. We came to the conclusion that the scriptures meant ‘yeast’ and we remove all food with yeast in it. This is a matter you will have to prayerfully consider and act accordingly. Firstfruits, or HaBikkurim, is the third of three feasts that all happen within a seven day span. 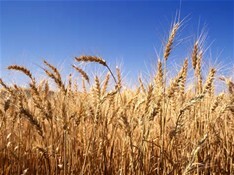 This was the day of the Resurrection and the day the first fruits of the barley harvest was presented in the Temple. This day is usually celebrated with a meal and remembrance of Messiah’s resurrection. Simply setting the day apart is all that is necessary. This day also begins the Counting of the Omer, or the count to 50 and Shavuot. What I do: This is a very simple feast that recognizes our Messiah and sets the day apart unto Him. We read some Scripture and rejoice. The warning: I can’t think of any. What I do: Again, this is a simple feast of remembrance. Only recently have I learned that the Jews stay up all night reading and discussing Scripture…. That may be in the offing, but is not a requirement. The warning: I don’t know of any. The three Fall Feasts are, as yet, unfulfilled. They picture Messiah’s return and like His first coming, the events will happen ON the Feast days! What will you be doing the day of the events? How do you now what to be looking for and when? Remember, it is not as important how you celebrate, so much as that you celebrate! Yom Teruah, or ‘Day of Blowing,’ is more commonly called Rosh Hashannah, meaning, ‘head of the year,’ because it falls on the first day of the civil year. It is the day when kings of Israel and Judah were crowned, regardless of the day that they came to power. Interestingly, because it always falls on a new moon (see Roch Chodesh, below) it is also called “the Feast when no one knows the day or hour.” Coronation? No one Knows the day or hour? Unfulfilled by Messiah? Hmmmm…. Toss the secret rapture theories, here is some Scriptural fact and practice you can sink teeth into!! This is a day of celebration and feasting, but also a day to focus on the coming King!! What I do: We love all of the feasts, but this one holds special significance for us. It is the first feast we celebrated as we came into this precious walk. I vividly remember sitting with another family on our back deck reading Scripture, enjoying some fruit of the vine, and worshiping together. It was a perfect late Summer day with a cloudless sky and a light breeze luffing the leaves of the trees providing shade. The ‘magical’ day was not lost on us as we recognized the loving embrace from our Father as we had come home to His ways! Traditional foods include apples and honey, picturing the sweetness of our Fathers instructions, as well as late summer harvest foods. The day of atonement, properly called Yom Kippur, is the Feast that is a Fast. It is a day of humbling ourselves before Yehovah and considering our desperate need for a Messiah and His atonement. There are two ‘minor’ feasts that often come up in discussion. Neither is commanded or required and both are occasionally debated with vigor. Both are mentioned in Scripture… In both cases, seek the Father and allow the Ruach (Spirit) to lead you. This is a major holiday for Jews as they harken to God’s miracle in the Book of Esther. Typically celebrated about 30 days before Pesach on 14 Adar I, it is a neat and fun way to remember the Provision of Yehovah for His people in Babylon and is a terrific ‘hands-on’ way to teach our children. Ways of celebrating include reading and discussion Esther. Add to the fun with costumes and a play. We particularly enjoy watching One Night with the King, an epic style movie that is exceedingly well done and true to Scripture. The Warning: None that I know of. The Feast of Dedication, possibly celebrated by Yeshua, is one that is much discussed and debated. Research and pray before coming to your conclusions. Allegedly it is based on the re-dedication of the Temple in about 167 BCE after the Maccabean revolt. Certainly, there were heroes who stood against the Roman empire and its evils, including vile persecution of the Jews and desecration of the Temple. The question is whether Kislev 25 was celebrated for other reasons prior to the Maccabees…. What we do: The first two years that we rejected christmas due to its clear pagan origins, we made Hanukkah a really big deal, lights and presents, etc, much as the Jews do, only we became convicted that we were making it into a ‘Jewish Christmas’ with not real severance of the pagan traditions we once walked in. The result was that we now have no lights or gift giving, though we will in subdued fashion remember the bravery of the men who stood against Rome, even unto death by horrific torture. We also consider Yeshua, the Light of the World who was likely conceived during this time-frame, forty weeks before Sukkot, the very probable time of His birth. The warning: Turning this holiday into a substitute for christmas is a pitfall many find too easily. Beware and do your research. There is much to celebrate, but it is an emotionally charged time of year when we should not look like we are keeping pagan ways or substitute pagan ways. Thank you. Hoping it will be a quick one page reference to point new folks to. Somebody DOES have all the answers. He told the disciples “I know you don’t know how(to live), come to Me and I will show you how”…. and He still does / will….. Follow Him …. Thankyou Pete, this is timing! I really appreciate it. Good stuff! One stumbling point for me when I transitioned is that I was too legalistic. In fact it almost cost me my marriage. I would advise people transitioning to not take things personally when one sees the truth not being taught, or Christians keeping pagan practices. It’s up to God how He administers His own Kingdom. Excellent point and a thought I need to work in more overtly. I’m sure you do notice that the very basic observances I’m laying out are light on tradition and fences. Shalom and welcome to the blog. EVERYTHING helps. As a woman entirely alone with no family, I love the encouragement! Shalom and welcome. I pray this be a place that encourages, helps you grow and gives you material to share with others. Thank you, Pete. I’m old and tired and just want to worship Yahweh as He WANTS to be worshiped. As a Messianic Jew, I have been maligned and attacked over and over for my faith. Even called a “Judaizer”! Bless you, sis. Glad to have you here. Thank you for your encouragement and welcome to the freedom of the ancient paths YHVH layed out for us. The main thing about establishing a family tradition; family extends warm hospitality – guests are to honor the HOuse. The main thing about establishing a family tradition; family extends warm hospitality – guests are to honor the HOuse. Also, in addition, the most important thing about the “name” is not correct pronunciation except as we’d give anyone’s name to try; the meaning of the name gives us insight to the purpose, essense and character of the person, the most important idea of name; is the power and authority behind it. Kingdom has kingdom protocal. Not everyone is able to accept legally immigrants or even make a promise. Hi Pete. When will you finish this article (no pressure!)? Can you please explain to me the meaning of the two massive loaves of bread being waved before YHVH during the Shavuot? Thank you for the reminder… I do need to get back to this. The loaves, I believe, represent the same as the two sticks in Ez. 37 and the two olive branches of Zechariah 4. The house of Judah and the house of Israel. Thank you, Pete. Looking forward to when you finish this article. And thanks for the Bible references–I will read them today. The Lord bless you. I think the two loaves also represent the two tablets of instructions given at Sinai, (at this feast) which also represent the living Torah, Yeshua Messiah, who is the bread of life. I enjoyed the Erev Shabbat video, Pete – nice job! It seems like forever since we have seen you folks. Say hello to the family for me. Shalom. We do need to get together!! Had Trav up last week. Next time you head to the upstate plan on spending a night or two. Your site is very interesting and it’s exciting that more and more Christians are seeing the value of keeping the days that God himself designed…over the days that were adopted at least in part because they were popular with the neighbors–who worshiped other gods.